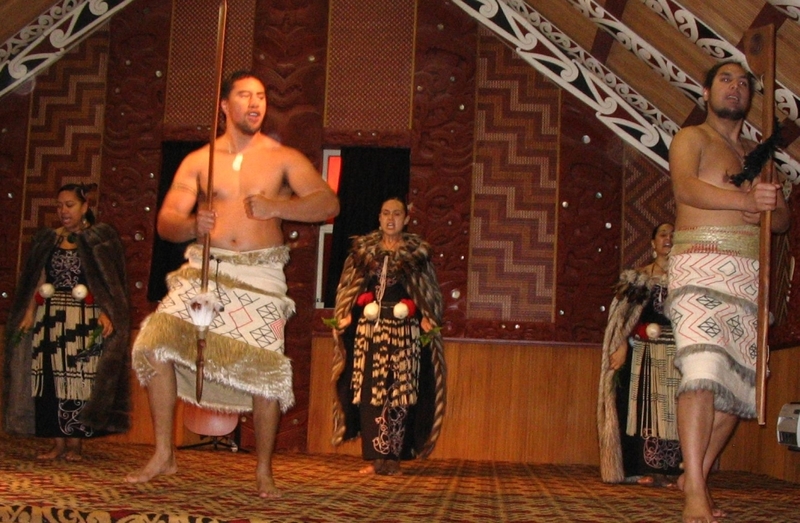 "Although the use of a haka by the All Blacks Rugby team has made one type of haka familiar, it has led to misconceptions. 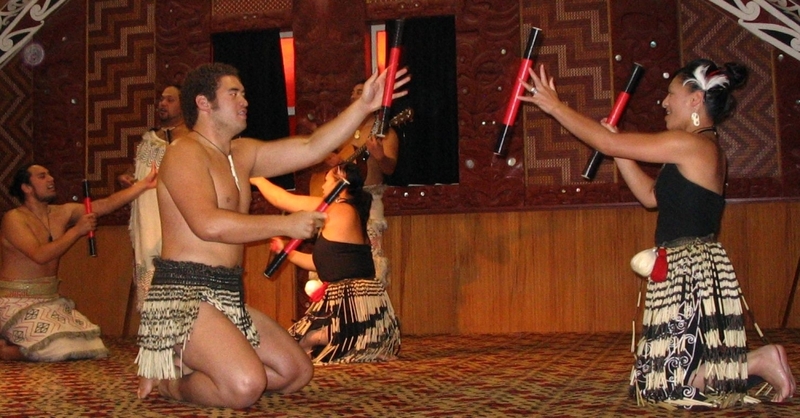 Haka are not exclusively war dances, nor are they only performed by men. 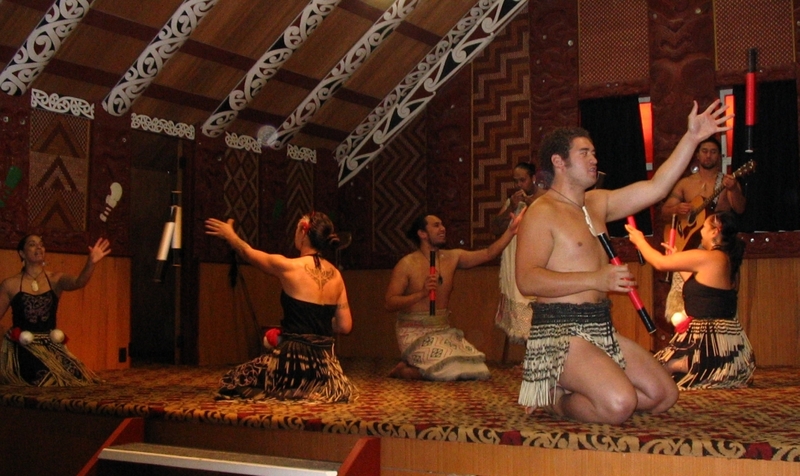 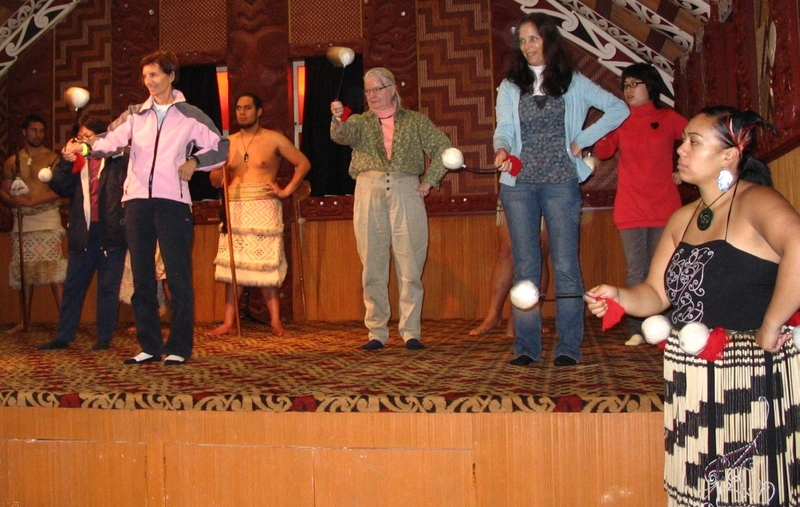 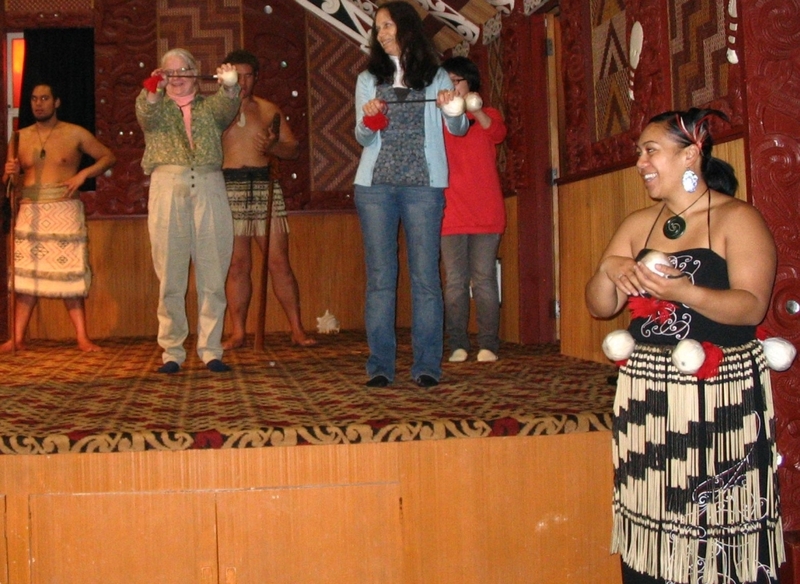 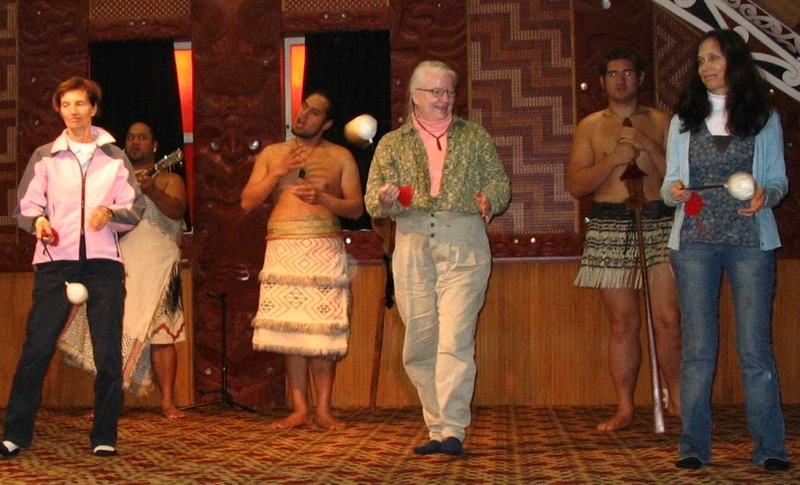 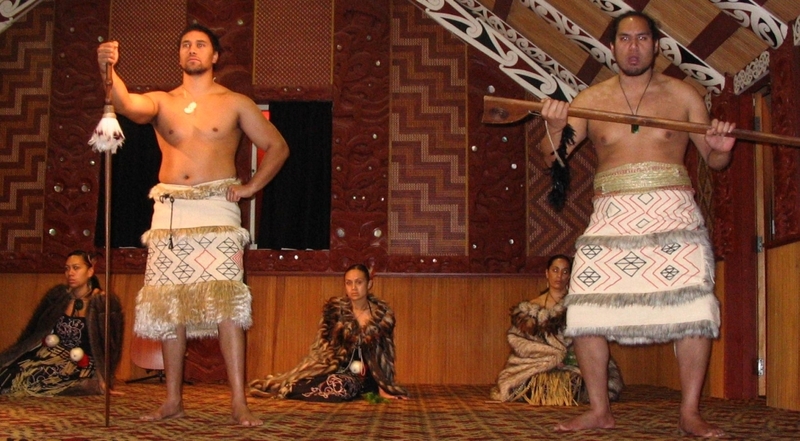 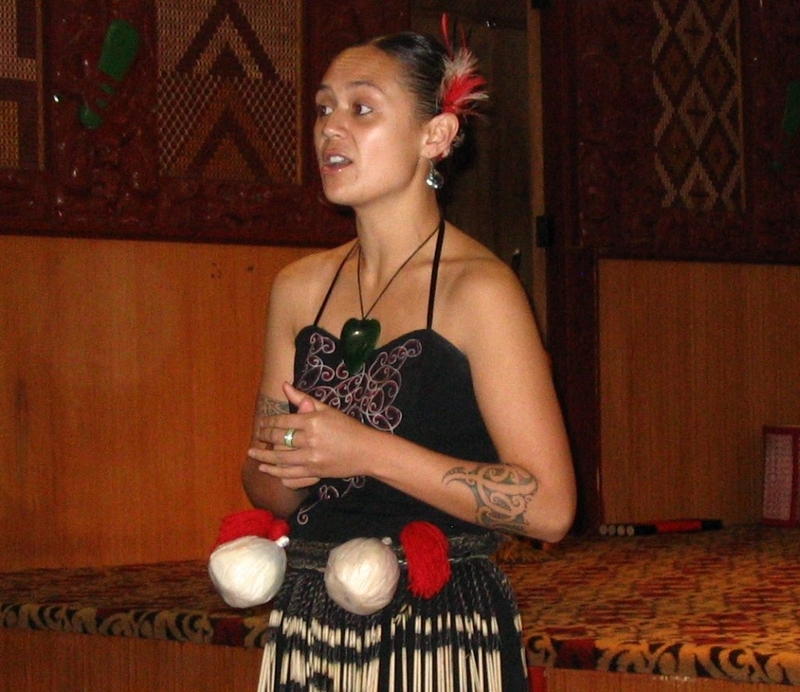 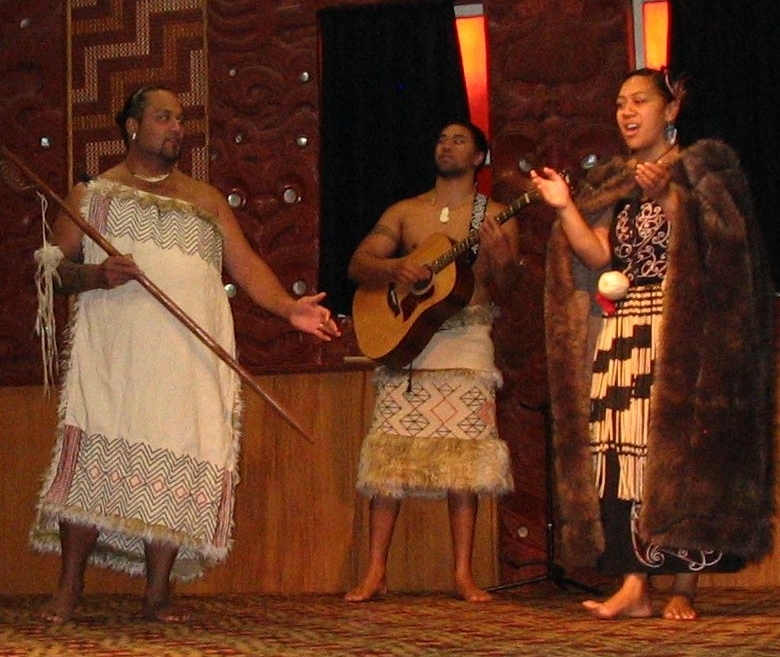 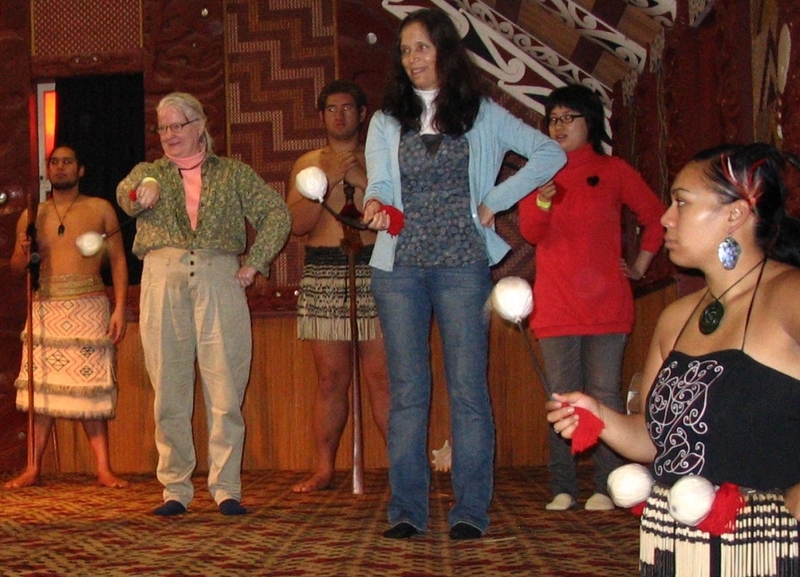 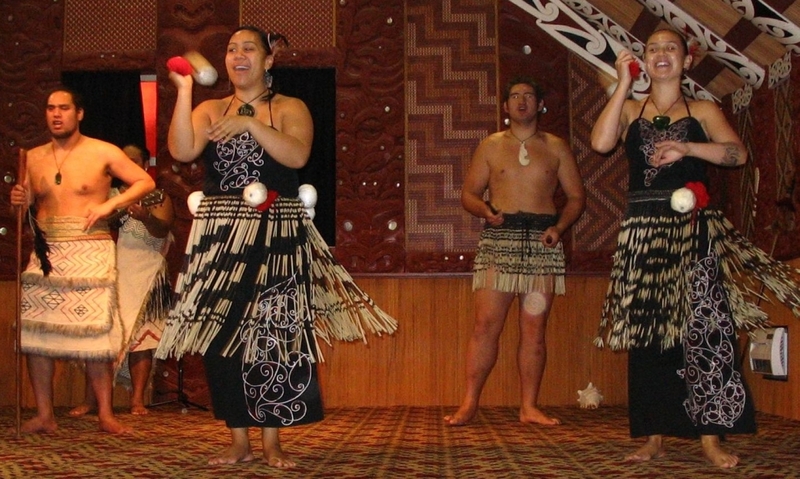 Some are performed by women, others by mixed groups, and some simple haka are performed by children. 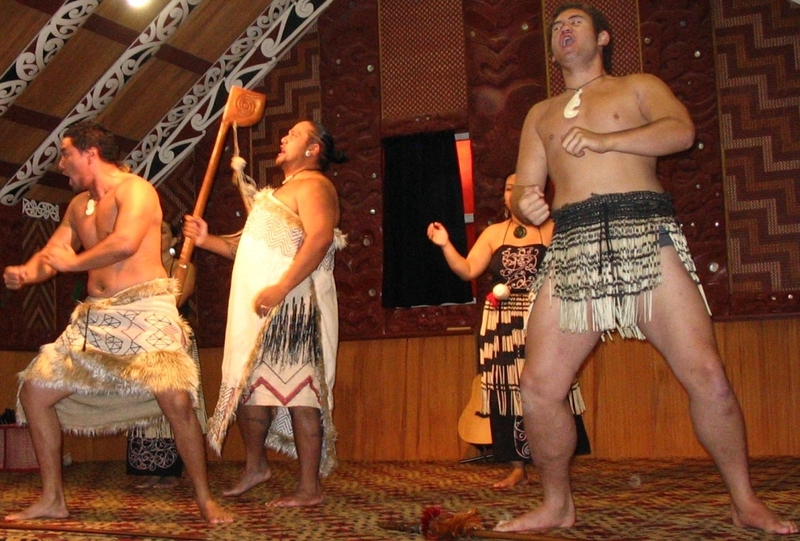 Haka are performed for various reasons: for amusement, as a hearty welcome to distinguished guests, or to acknowledge great achievements or occasions. 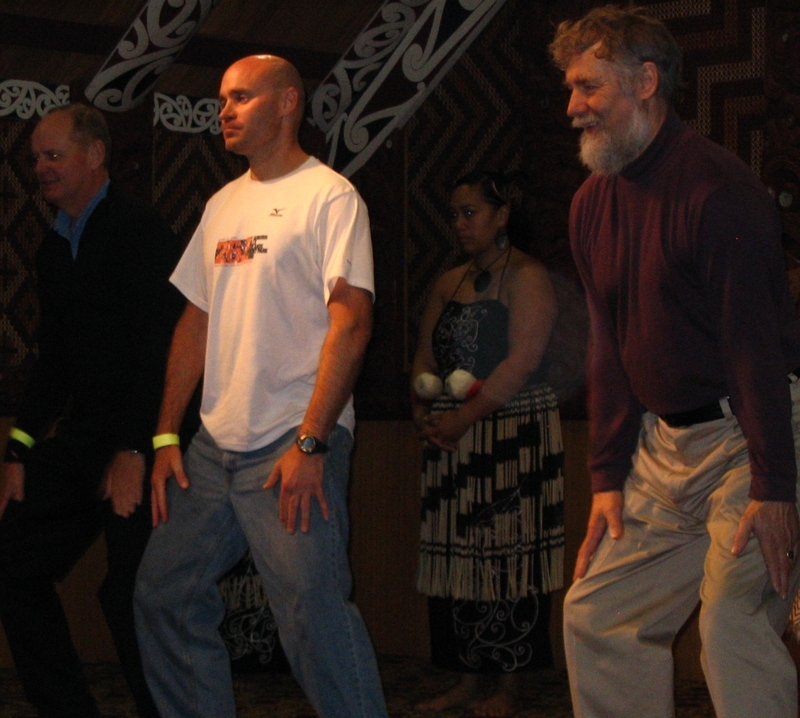 War haka, which had their own term, 'peruperu', were originally performed by warriors before a battle, proclaiming their strength and prowess in order to intimidate the opposition. 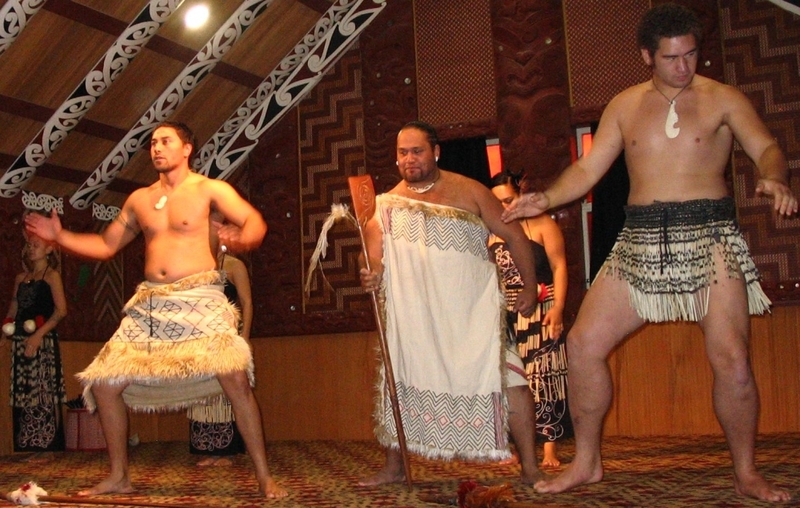 Today, haka constitute an integral part of formal or official welcome ceremonies for distinguished visitors or foreign dignitaries, serving to impart a sense of the importance of the occasion. 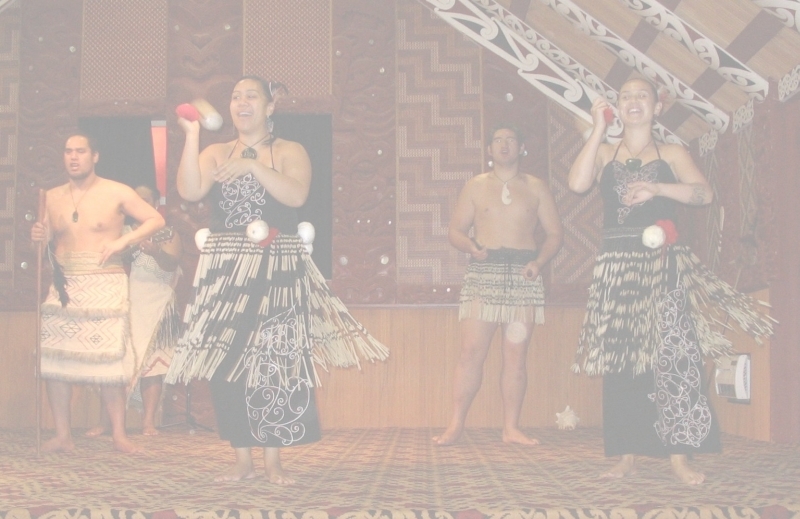 Various actions are employed in the course of a performance, including facial contortions such as showing the whites of the eyes and the poking out of the tongue, and a wide variety of vigorous body actions such as slapping the hands against the body and stamping of the feet. 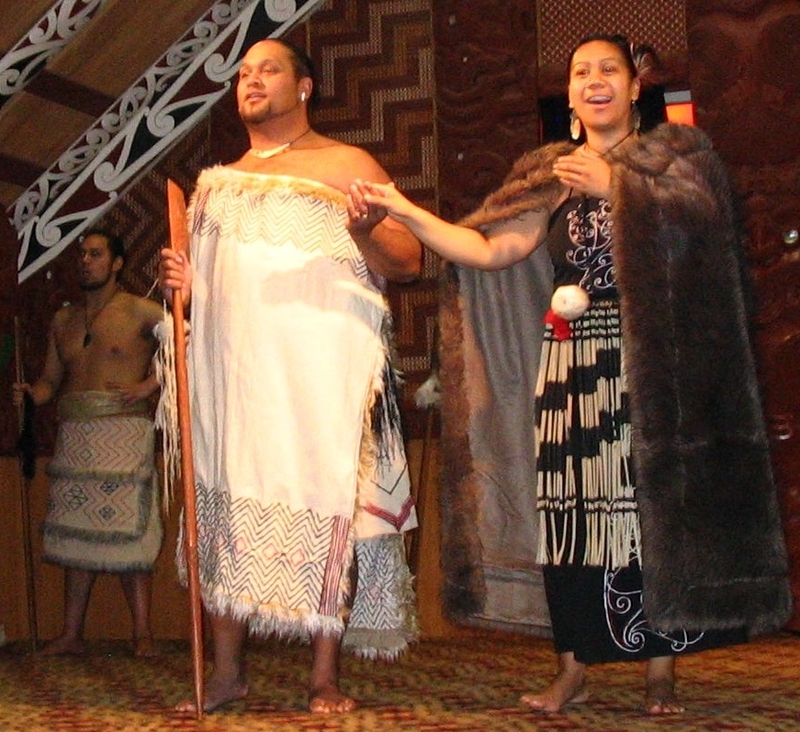 As well as chanted words, a variety of cries and grunts are used. 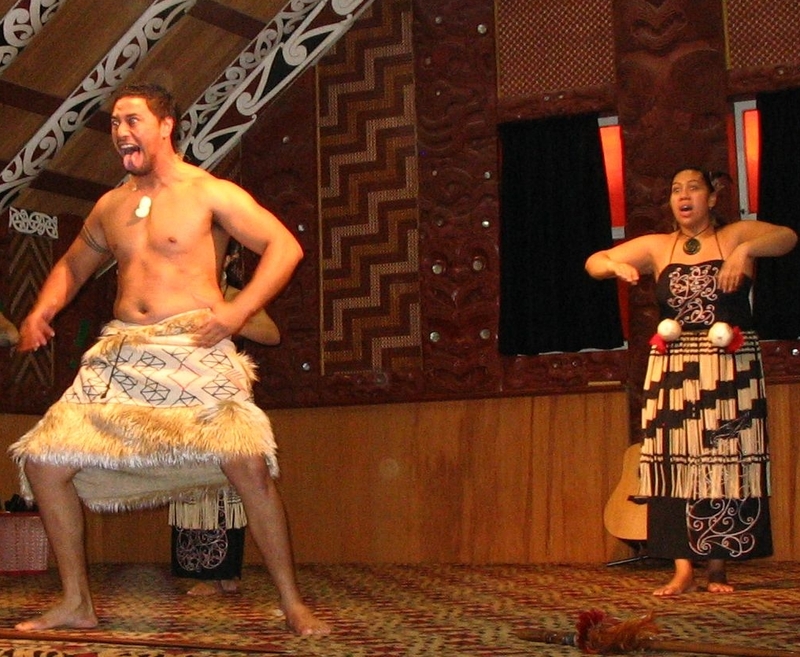 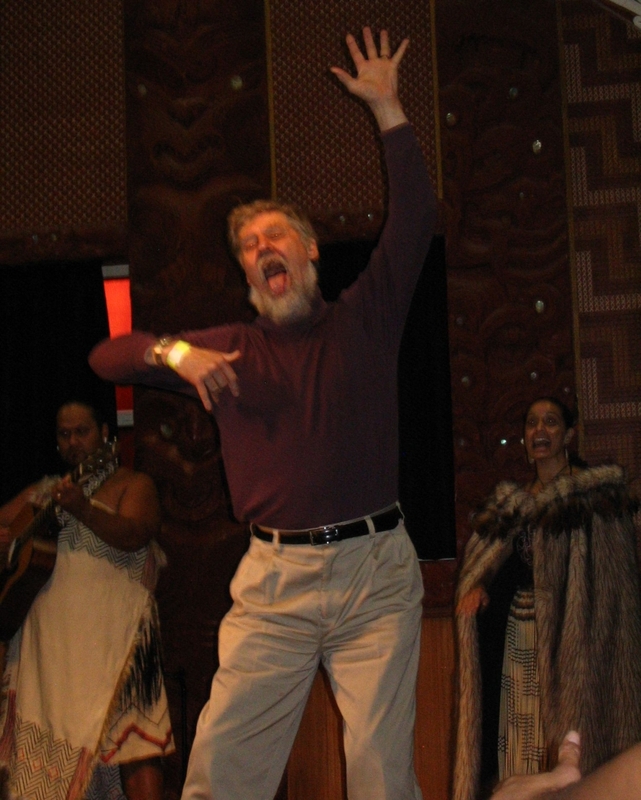 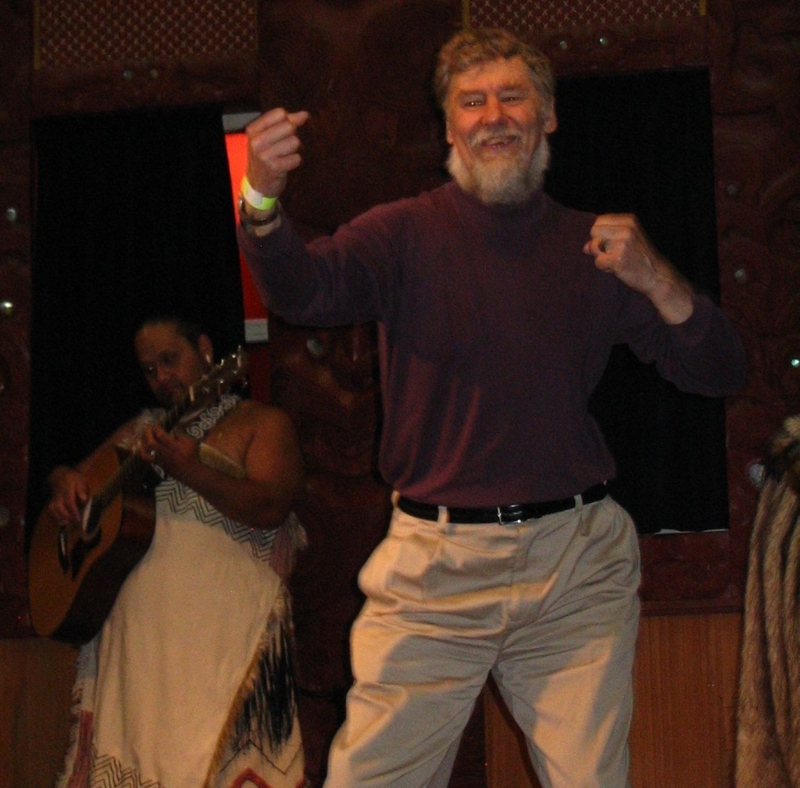 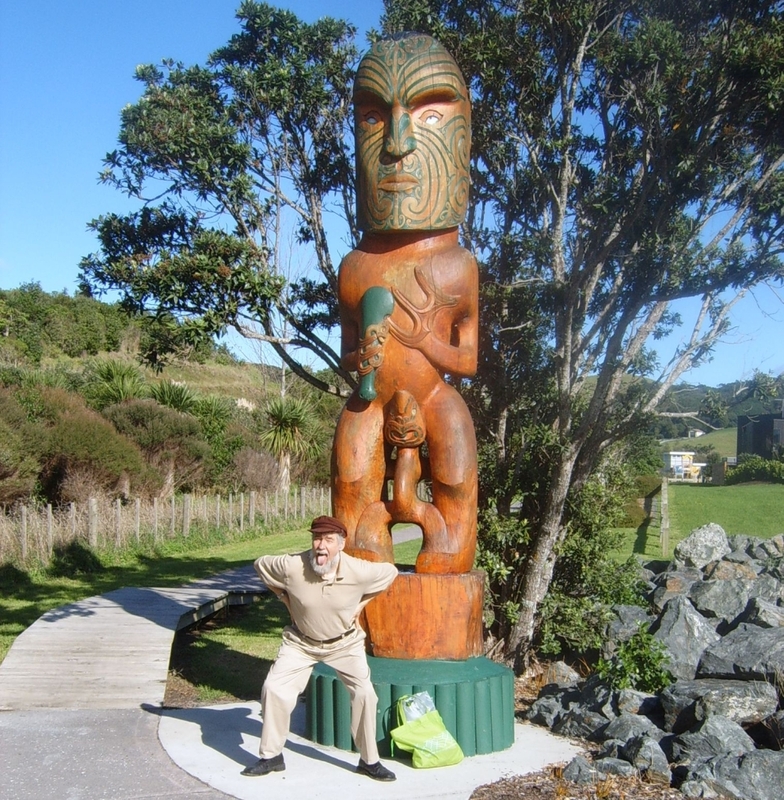 Haka may be understood as a kind of symphony in which the different parts of the body represent many instruments. 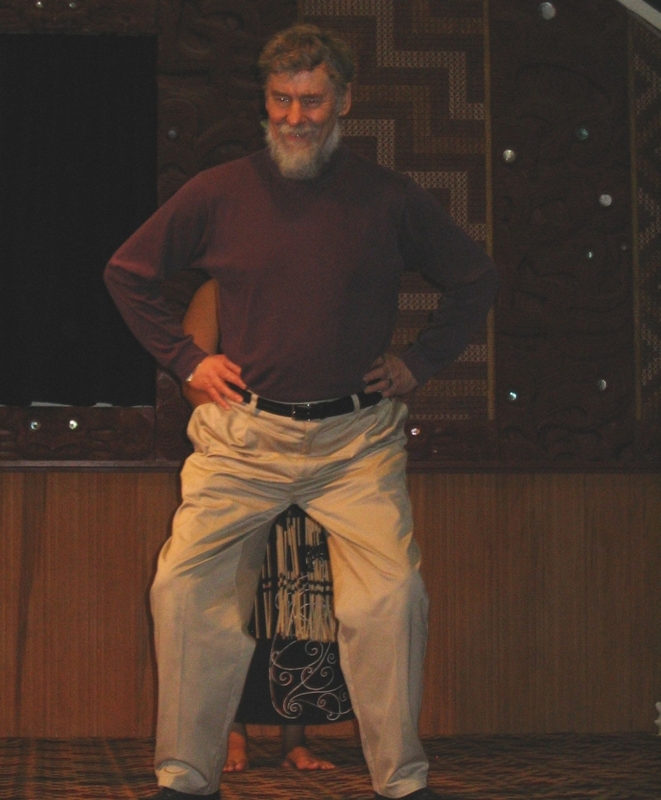 The hands, arms, legs, feet, voice, eyes, tongue and the body as a whole combine to express courage, annoyance, joy or other feelings relevant to the purpose of the occasion."